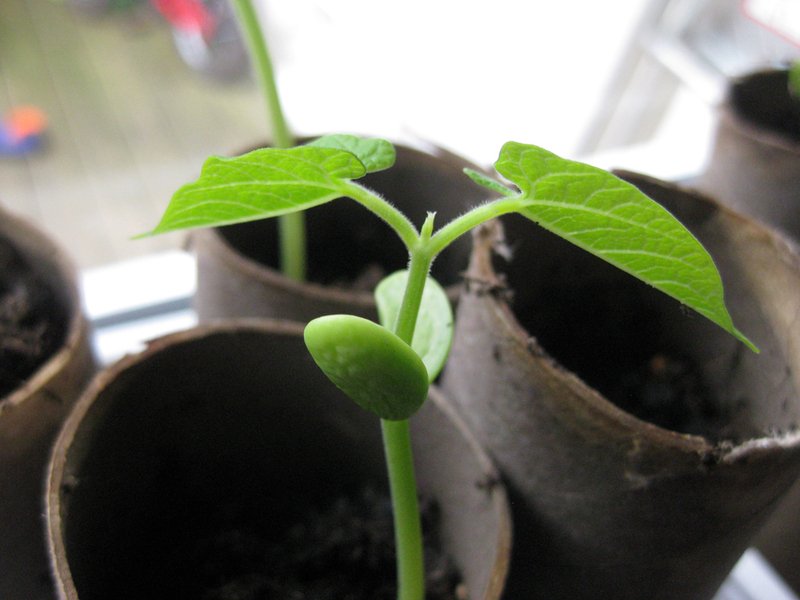 We popped some beans into loo rolls on the windowledge and they sprang into action quite fast – too fast? They look quite gangly now… and now I wish I had planted more as we have offered them up to the great God of Slime in the garden. So – I am imagining a large crop of fine french beans come summer and have made a cane teepee to support a large glut.